Hall of the Mountain King: Stuck in My Head: Warrant, "Uncle Tom's Cabin"
I can’t say that I was a huge fan of Warrant, as you may have read a few months ago in my somewhat tongue-in-cheek review of the band’s latest album Rockaholic, but I did like a good bit of their stuff, particularly their 1992 record Dog Eat Dog, which had a slightly harder edge and better songwriting. 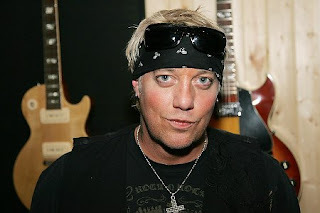 When I heard that singer Jani Lane, born John Kennedy Oswald, was found dead in a hotel room on Thursday at the age of 47, I intended to write about that record. But as I listened to songs from it, trying to decide what angle to take, my mind kept drifting back to “Uncle Tom’s Cabin,” getting hung up on that acoustic intro and the driving heavy riff underneath the verse. The song opens with an impressive, bluesy acoustic intro that’s quite possibly the best 33-second piece of music to be found on any Warrant record. Funnily, it wasn’t recorded by either guitarist Joey Allen or Erik Turner. (In fact, there’s some speculation that the two didn’t play on the record at all.) Instead, it was laid down by Lane’s brother, Eric Oswald. That’s followed by a clean riff, backed with banjo and harmonica, that’s just a bit darker than anything to be found on the band’s debut record Dirty Rotten Filthy Stinking Rich. Over that lick, Lane sets the scene for the story of a boy and his uncle out fishing when they witness a sheriff and deputy dumping bodies into the water. (No, it doesn’t have anything to do with Harriet Beecher Stowe’s classic novel.) Just before the dirty lawmen show up, a thick distorted guitar riff kicks in. It’s a simple E-G-A power chord progression, but it’s irresistible in its catchiness. Like most of Warrant’s work, the song is pretty basic, but as I sit here listening to it over and over, I have to admit that it was very effective, and almost certainly the best song they ever recorded. “Uncle Tom’s Cabin” could have signaled a change in the band’s direction. It could have gained them some respectability and made them less of the punchline that they became. Instead, a tune with such clever turns of phrase as “So I mixed up the batter and she licked the beater” came first, and became probably their best-known song. While “Uncle Tom’s Cabin” was a hit for the band, it was overshadowed by the title track, which was essentially a throw-away to please the record label. Maybe it wouldn’t have made a difference, though. Admittedly, Cherry Pie is a very uneven record. For every hit like “Uncle Tom’s Cabin” and “Mr. Rainmaker,” there are notable misses, like the snooze-inducing ballad “I Saw Red” (also a hit). 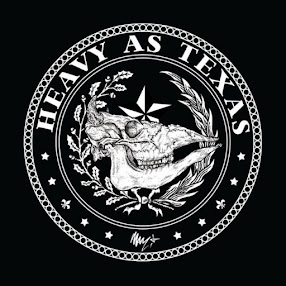 But for four minutes at least, we heard the kind of song the band was capable of when hitting on all cylinders, and the good pieces on this record lead directly into a much stronger third album in Dog Eat Dog. The current incarnation of Warrant doesn’t include Jani Lane, and hasn’t since 2004. Since his departure from the band, he’d struggled with his health, as documented on the reality show “Celebrity Fit Club,” and had problems with the law, including a couple of DUI arrests. He’d recently been working on side projects, solo work and filling in as the singer for Great White while Jack Russell was recovering from surgery, by all accounts, doing a good job of it. He was also working on a new record with producer Dito Godwin and is scheduled to appear on an upcoming episode of VH1 Classic’s “That Metal Show,” which was taped in July. His cause of death had not been released on Thursday night. Lane won’t be remembered as one of the greats of rock ‘n’ roll, or as an innovator who had a big impact on music. But for folks my age, his voice was part of the soundtrack of a lot of good times, and there’s definitely something to be said for that.